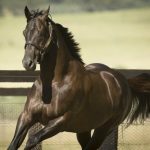 The fee increase for Zoustar, Australia’s Champion first season sire in 2017-18, comes after his three-year-olds dominated the Coolmore Stud Stakes (registered as Ascot Vale Stakes) (Gr 1, 1200m) in the spring, with Sunlight leading home a trifecta for the young stallion who is poised to claim the second season sire title this year. Zoustar is the sire of seven individual stakes winners, including this season’s B J McLachlan Stakes (Gr 3, 1200m) winning juvenile Sun City from two crops of racing age meanwhile, his yearlings sold up to $1 million and averaged $328,571 at last week’s Inglis Australian Easter Yearling Sale. “Zoustar is the most exciting young stallion in the world and that demand has extended to the Northern Hemisphere where he is covering a full book of mares at Tweenhills Stud. To sire the 1-2-3 in a highly targeted Group One race like the Coolmore with his first crop speaks volumes of this young stallion’s ability and future” said Widden’s Antony Thompson. 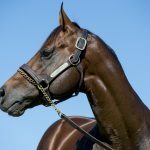 Thompson said Trapeze Artist’s record meant he was deserving of a high-quality band of broodmares in his first season at stud which will be presented to him by his owner-breeder Bert Vieira and Widden Stud. “Trapeze Artist is without question one of the most decorated & best credentialled horses to retire to stud in years. 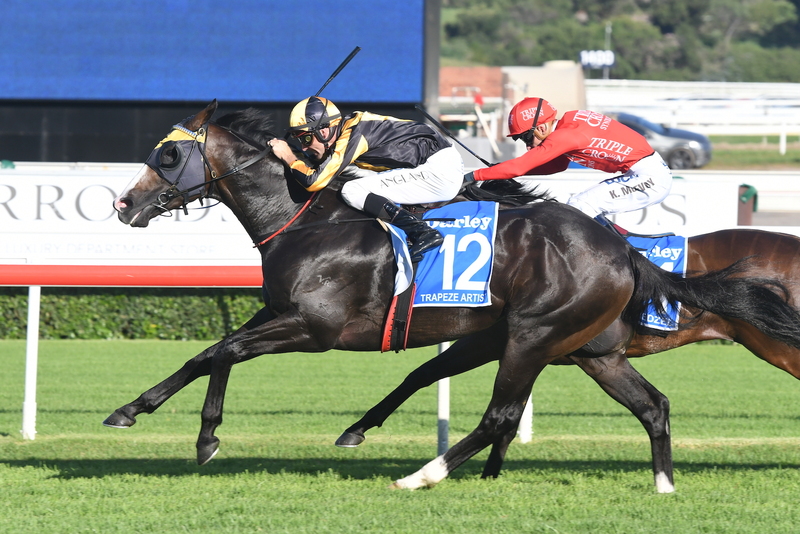 A multiple record-breaking sprinter, a 3yo that dominated his elders at WFA level and by the Champion sire in Snitzel. I can’t think of an Australian colt to retire this season with anywhere near the level of Trapeze Artist’s achievements. It’s also worth remembering what he did to the likes of Menari, Pariah & Merchant Navy in the Golden Rose where he won by over 4 lengths from the widest barrier. As Gerald Ryan says; ‘when he lets rip there isn’t a sprinter in the world that of could of went with him”. Vieira, despite plenty of interest from studs following Trapeze Artist’s three-year-old season, elected to race the Gerald Ryan-trained sprinter on at four, with the son of Snitzel (Redoute’s Choice) finishing runner-up in the $13 million The Everest (1200m) last October before crowning his career with a track record breaking victory in the Canterbury Stakes (Gr 1, 1300m) this March. Group 1 winner Stratum Star, a son of Widden’s late sire Stratum (Redoute’s Choice), will stand for $9,000 + GST in his third season at stud while fellow unproven sire Outreach (Exceed And Excel), the brother to 2013 Golden Slipper Stakes (Gr 1, 1200m) winner Overreach, will stand for $7,000 + GST.